I have a secret. 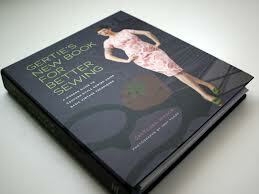 I bought Gertie’s New Book for Better Sewing a couple weeks ago. I've been pouring over the pages, and it’s all pretty wonderful. I was going to wait until I’d finished one of the projects to share my thoughts, but, I’m impatient and I can’t wait to share. Gertie's New Blog for Better Sewing is pretty well known around the internet. It's one of the blogs that I've gone back and read the entire archive of because its so full of useful information. And her book is exactly the same. You can see the sample pages she posted in a Flickr pool here. The main reason I wanted the book is for the patterns. I'll admit, I usually find sewing manuals slightly disappointing. That being said, I've found the technique section really useful. Its been mentioned around the internet that she doesn't simplify this section. I tend to agree. There are some advanced techniques, especially I'd say, in the Tailoring section. However, the instructions are still easy to follow. I think this is the only sewing manual I've actually read cover to cover to date. I'm pretty excited about the patterns. 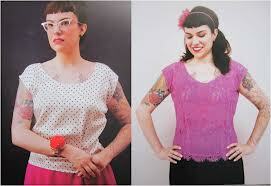 The first one up is the Portrait Blouse. But I have to say, I think I'll be making almost all of them, either as printed or with a couple variations. It has been mentioned that there are a few flaws in the patterns. And some things visibly off in the outfit shots. One I've heard is that the darts in the sheath dress don't line up. While it does look a little off in the image, I'm going to hold off on my judgement on such things until I've tried the patterns in question. At the moment, it could just be how the dress is sitting. Your thoughts on Seam Finishes?